Bermuda Motors will be staging its first Eco Auto Show on Saturday, November 19 from 10:00 a.m. to 3:00 p.m. at Bull’s Head Car Park, Hamilton. 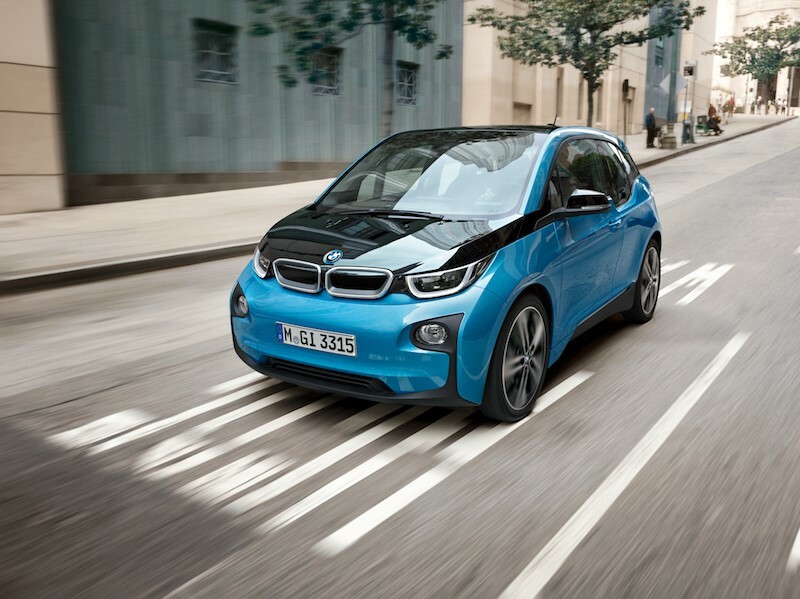 The event – believed to be the first of its kind in Bermuda – will showcase the company’s range of electric and hybrid vehicles and mark the public launch of the new all-electric BMW i3. 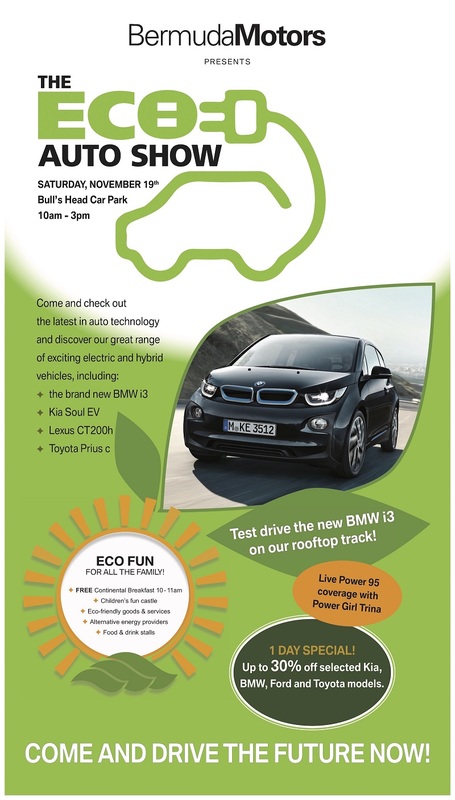 Visitors to Saturday’s show will be able to test drive the i3 on a special rooftop track, along with other ‘green’ vehicles, including the electric Kia Soul EV, the Lexus CT200h hybrid and the Toyota Prius c.
The show will be declared open by City of Hamilton Town Crier Ed Christopher and is designed to appeal to the whole family. Free continental breakfast will be available from 10:00-11:00 a.m., and there will be a children’s fun castle, food and drink stalls, and displays promoting environmental awareness and energy efficiency featuring: Bermuda Environmental Sustainability Taskforce [BEST], Belco, The Green House Bermuda, and Bermuda Air Conditioning. Krishna King, General Manager of Bermuda Motors, said: “We invite the community to come and plug into the future! 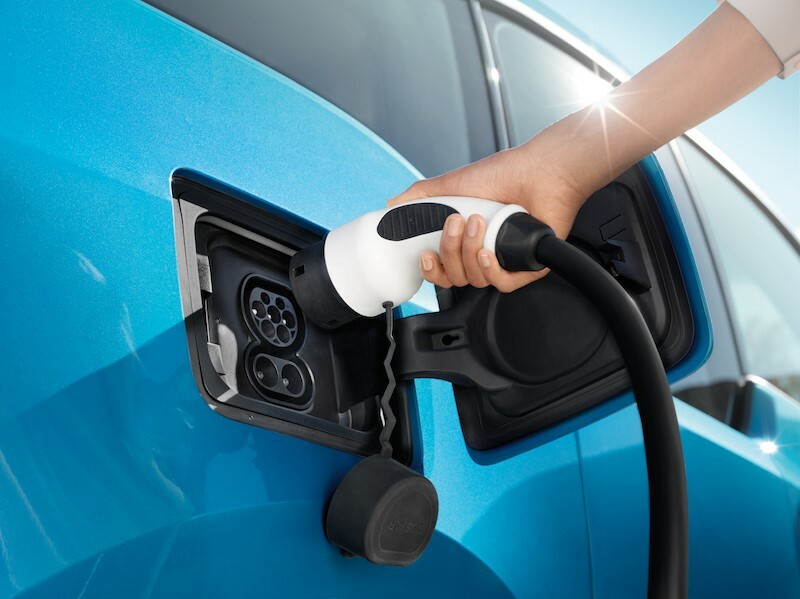 The vast improvements in technology over the past few years have made ‘green’ cars a real alternative to gas-powered vehicles and we’re looking forward to showcasing the choice we offer Bermuda drivers in electric and hybrid vehicles. 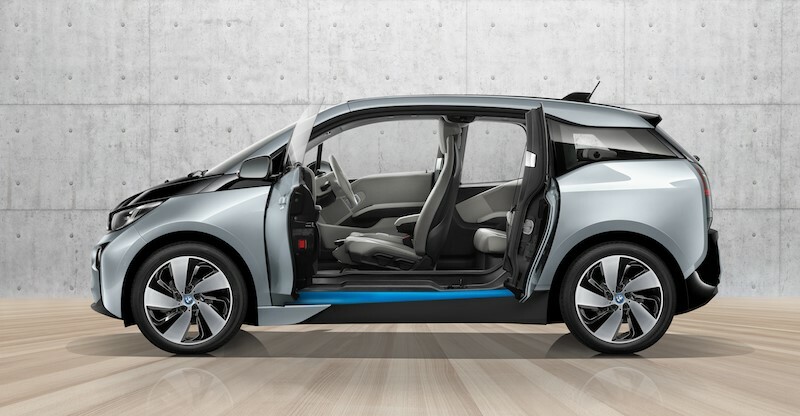 He said the company was particularly excited about the BMW i3, BMW’s first all-electric car, which has a range of about 120 miles on a full charge and is the world’s first series-production model to be designed for sustainability at every stage, from the development of the car to its production and everyday use. Although the Eco Auto Show will be focused on ‘green’ cars, Bermuda Motors will also be offering a one-day special of up to 30% off selected regular cars by BMW, Kia, Toyota and Ford. What measures can be taken to make this more accessible in terms of price? Electric cars are only as eco friendly as the power used to recharge them. Does anyone know how much electricity it would take to fully charge one of these? I wonder what the price of that would be, compared with a 120 mile equivalent of fuel. would be around one third of the cost in electricity. Roughly $5 per 125 miles if my math is right. Is Bermuda motors going to also be involved in installing solar charging stations in parking lots around the island? It is important to recognise that even through EV’s are an important step forward in Bermuda, it is somewhat of an exchange – burning fuel from the car’s gas tank or burning oil from Belco. It would be better if these vehicles had some sort of promise of solar charging (perhaps in parking lots around Hamilton when people are at work and the sun is shining)! To be honest there is no real need for charging stations outside of your home except for the use of high mileage vehicles such as taxis or E-scooters with relatively small batteries. That said to utilize energy gained from the sun would be ideal where it is possible. Because they are more efficient even using diesel generated energy from BELCO is better than burning gasoline in regular cars.